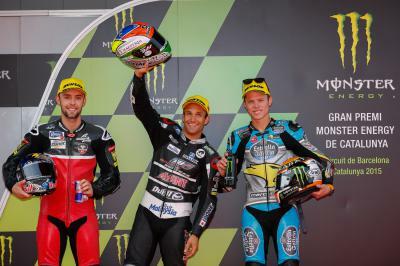 Moto2™ pole-man Johann Zarco outlines his tactics for Sunday’s race at the Gran Premi Monster Energy de Catalunya. Zarco was soon up at the front in the qualifying session, maintaining the position whilst steadily lowering his times. It was on his second stint that the Ajo Motorsport rider clinched pole, setting a 1:45.895 lap that was a new fastest lap of the circuit. 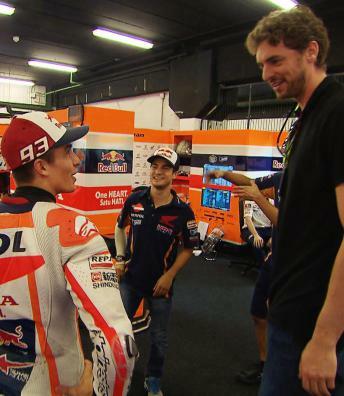 He had set two consecutive pole-worthy times and was the only rider to go below the 1:46 mark. 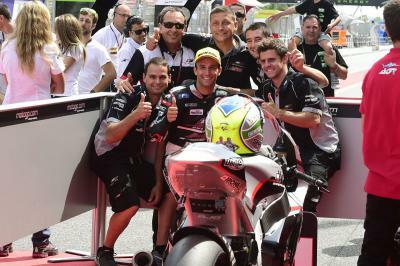 Johann Zarco: "This pole position has been a great gift for the good work we have done so far. Since yesterday, from the first Free Practice sessions, we have set good fast laps and had a good pace on used tyres, so we're well prepared for tomorrow's race. The goal is to take victory. 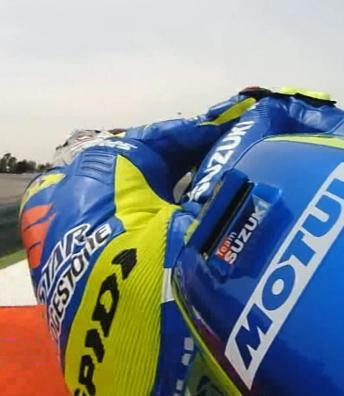 Starting from pole position is important, as it would have been to start from anywhere on the front row. This gives you more options to win the race. I don’t know what will happen tomorrow, but I will try to escape and try to ride smart. 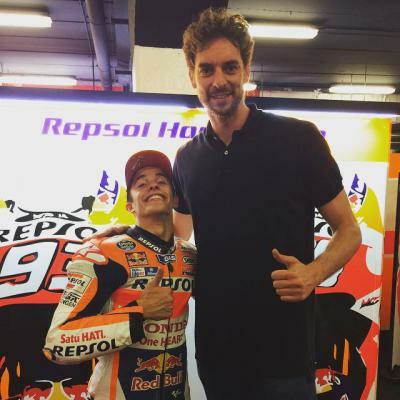 I’ll be fighting against the other riders to try to cross the finish line first." 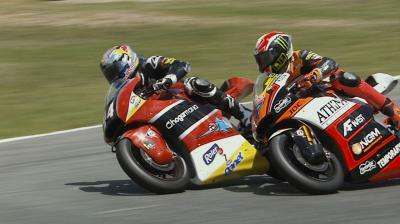 Some of the best Moto2 & Moto3 overtaking moves from the weekend at the Gran Premi Monster Energy de Catalunya. Tito Rabat admits it would have been great to get pole position at his home Grand Prix, but he is happy with his pace for Sunday’s race. Ajo Motorsport’s Johann Zarco and Estrella Galicia 0,0 Marc VDS’s Tito Rabat seem set for an epic duel in the Moto2™ race on Sunday. Eugene Laverty admits it was a tough day at the Catalan GP as he crashed twice and will have to start the race from 22nd on the grid. 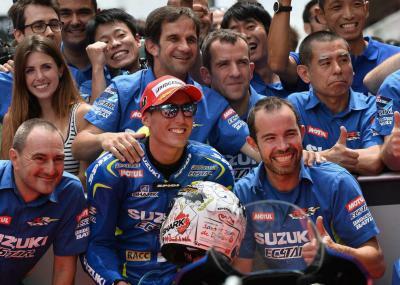 Suzuki's hunt for horsepower resumes! 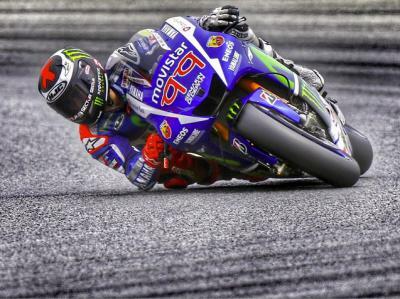 Bradley Smith is ready to battle for the top six in Sunday's race after qualifying in eighth at the Catalan GP. 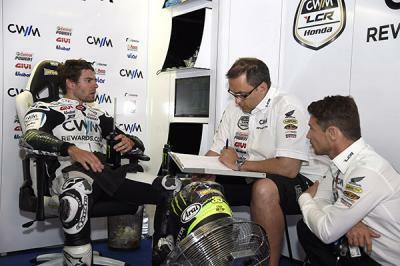 Cal Crutchlow is feeling confident ahead of the Sunday’s race despite crashing out of Qualifying and having to start from ninth on the grid. Second on the grid for Kent as he looks to extend lead at the Gran Premi Monster Energy de Catalunya.